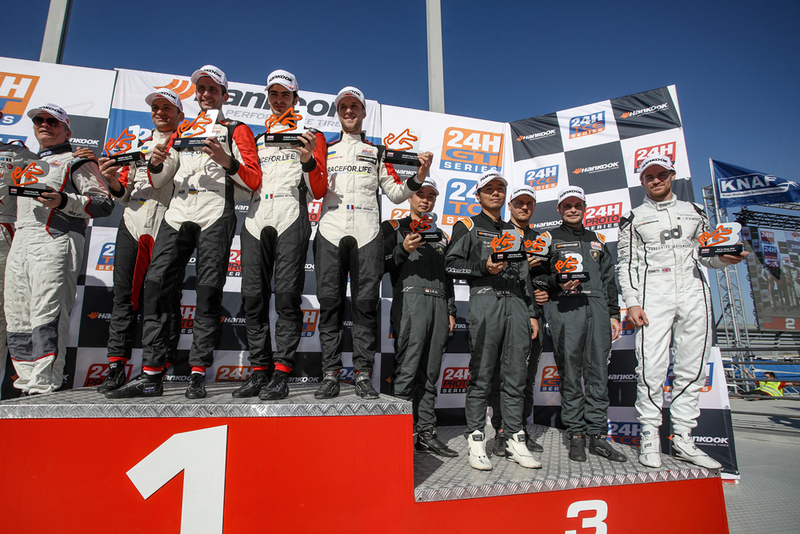 Norway’s Aleksander Schjerpen got his 2018 season underway in the best possible fashion, with a podium finish on his return to the Creventic 24H Series race around the Dubai Autodrome last weekend. 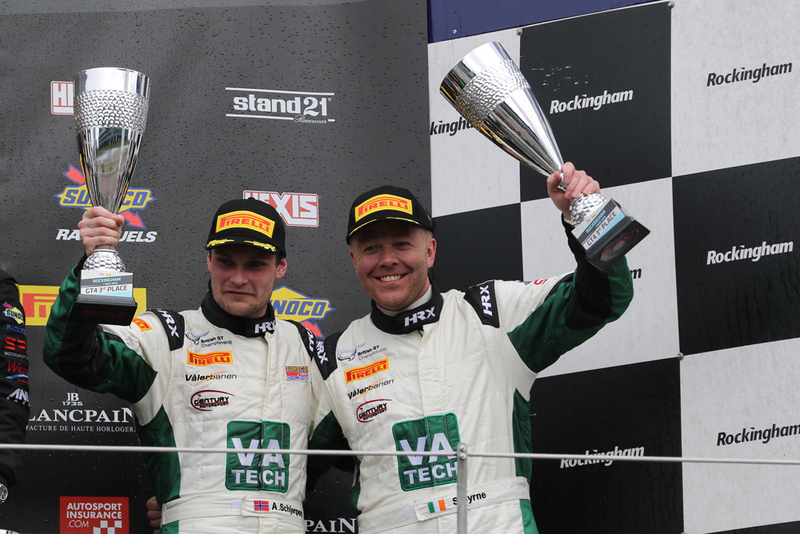 The former British GT4 Championship front runner previously participated at this event for the first time in 2016 with Century Motorsport where he won the SP3 class on his debut. 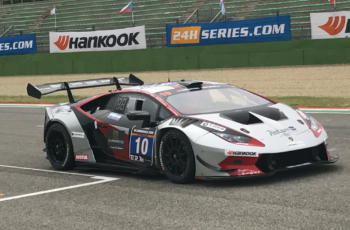 This time out he was returning to the event with his 2017 team, Leipert Motorsport aboard their faster Class SPX Lamborghini Huracán Super Trofeo, the same car he used to good effect at the final round of the 2017 season at the Circuit of the Americas in Texas to take a dramatic podium finish after they almost had their chances snatched in the closing moments of the race with a drive shaft issue. Schjerpen’s race week began on Wednesday, with the team taking part in both of the days Optional Private tests. 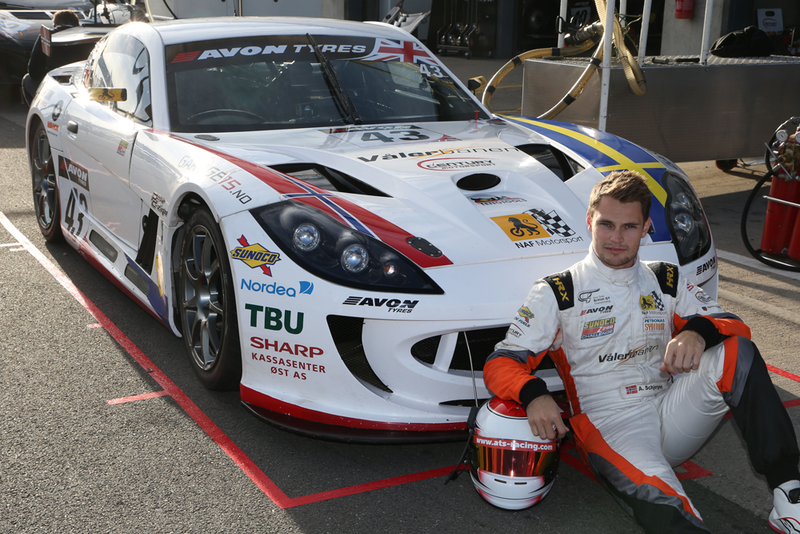 Joining Aleksander at the season opening event would be Oliver Webb, no stranger to Leipert Motorsport or the Dubai 24 Hour event, having previously finished on the podium five times, two of those with the German team. Joining the experienced pair for their first time aboard the Leipert Lamborghini would be Melvin Moh, and Lim Keong Wee. Solid running throughout practice brought the crew to qualifying, a point in the event where conserving the car becomes crucial towards successfully finishing the race. 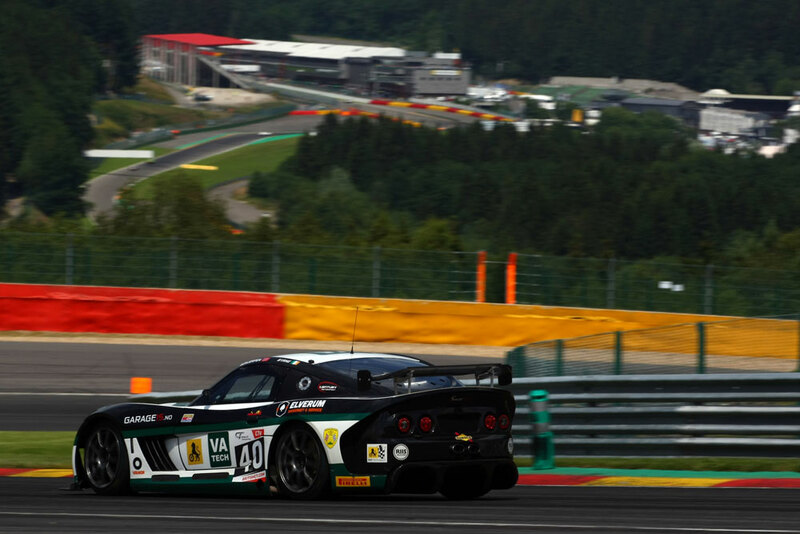 Webb was elected to take care of qualifying the car for the race, and in just a couple of laps, had easily set the fastest lap in Class SPX to secure pole position and 24th overall by over one second. Now all that remained was for the crew to complete their first night time practice of the week on Thursday evening – each driver required to complete three laps to be allowed to start Friday’s race. With a brief warm-up session on Friday morning completed by Aleksander as a final chance to ensure everything was in order in advance of the race, the team were ready to go twice around the clock amongst almost 90 other cars. When the lights went out just after 2pm local time, Oliver got off to a good start, settling into a consistent pace with the team setting themselves into a programme of maximising their strategy to deliver the result towards the end of the race. The cycle of drivers for the event would be Webb starting, followed by Lim Keong Wee, Melvin Moh and then Schjerpen. With all drivers double stinting, it was after 7pm and well into darkness before Aleksander started his first race stint of the event, with the crew now sitting third in class and 24th overall. However, the team were confident in their strategy and confident that they were firmly on target. Completing a strong stint, Aleksander pitted maintaining their position to hand the car back to Webb for the next cycle of stints. From there, Schjerpen was back in the car after 2am, again in the complete United Arab Emirates darkness for his second double stint of the race. Despite plenty of Code 60 drama on circuit, the Garage15 driver again kept his nose clean, a crucial factor towards completing a successful 24 Hours of hard racing. Back in the car mid-morning for what would be his final double stint of the race, Aleksander brought car into the pits safely in second position in the SPX class and now creeping upwards in the top 20. Now it was over to Oliver Webb & Melvin Moh to complete the race with ease. However, inside the second last hour with Melvin at the helm, the teams one and only drama was about to occur. Coming into the final corner, Moh suffered a heavy impact from an A6-AM Porsche into the left side of the car, causing some significant damage. Managing to dive into the pits, by the time he arrived at the team garage his engine bay was now on fire, but thanks to the quick reactions of the team, the fire was extinguished rapidly to prevent any further extensive damage. Sadly however, their flawless run was now at an end, the damage suffered bringing instant retirement. Luckily however, their performances up to that point was enough to secure third in class SPX, a very deserving result for such a strong race up to that point.